When you participate in our educational field trips, Canada's Wonderland becomes your own interactive, state-of-the-art classroom (and ultimate playground for after class). We’ve worked with leading educators and subject-matter experts to offer the best in content and impact for learning at all grades and levels. We make learning FUN for your students as they experience our Physics, Science, Math Days youth program with in park student activities that coincide with state approved curriculum available for each park location. We offer fun & affordable packages that will Thrill your entire group! Add even more fun to your group's day with an affordable and delectable meal option. Make feeding the entire group easier than ever. From a variety of meal and drink vouchers for groups of any size to All-You-Can-Eat options for groups of 50 or more. 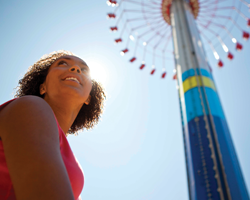 All rides are inspected daily and meet the Technical Standards & Safety Authority requirements. Teachers may obtain a copy of our Ontario Amusement Device License if required to get approval for a field trip. 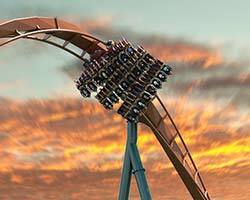 For student and youth groups, Canada's Wonderland offers complimentary tickets for chaperones. The number of complimentary tickets varies based on the size of the group. Security guards are stationed throughout the park on a daily basis to enforce park policies and ensure the safety of our guests. They regularly patrol their designated areas. Schools can help with supervision in the park by assigning chaperones to groups of students. To encourage chaperoning of groups we offer complimentary tickets for supervisors. 1 per 10 paid tickets for grades K to 8 and 1 per 15 paid tickets for grades 9 to 12. 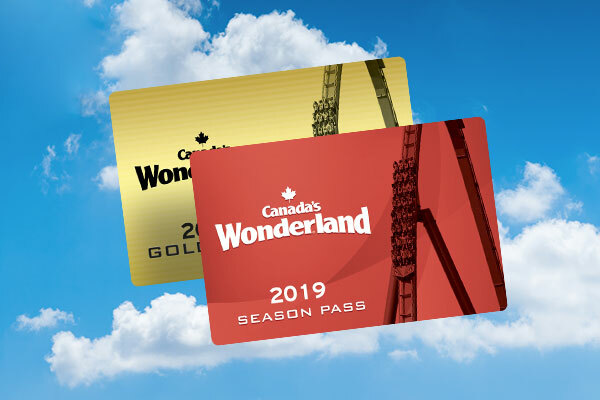 If you forsee an issue with our complimentary ticket policies and the chaperones you require for supervision whether it be for a board mandate or for Season Passholders, please contact us at 905-832-7400 or education@canadaswonderland.com. Schools are advised to nominate a central location that students should be, should they become detached from the group. The floral flag and the front gate is a good place for this. There is a lost person procedure that is enacted should any students become separated from their group. It involves strategic searches by security within the park. The safety of our guests and associates is our number one priority. Metal detectors and bag inspections are used at the Front Gate and at Gate 5 (Festival of Music entrance). Weapons of any kind and illegal substances are not permitted on Canada’s Wonderland Property. If these items are found during a search, the items and the individual may be turned over to law enforcement. Rides will close due to adverse weather conditions, particularly heavy rain, high winds and/or lightning. This is to ensure that the safety of all our guests is not compromised in unpredictable weather. A dashboard located inside Front Gate Guest Services can provide information on which rides are in operation. A specific answer as to when closed rides will return to operation is not possible because varying degrees of inclement weather cause different effects on different rides. Please be assured that Canada’s Wonderland makes every effort to reopen the rides as quickly and safely as possible after the adverse weather conditions cease. No refunds or rainchecks will be issued due to adverse weather conditions. Sunscreen and hats are available for purchase inside the park. There is also a large number of shaded areas for students to rest and be out of the sun, even while they are in line. First aid is able to assist with treating sunburns. It is recommended that schools enforce the use of hats and sunscreen.